Your ears aren’t playing tricks on you – that is the sound of snoring you hear from the bedroom of your preschooler. Snoring is common in children, but in some cases it can be a symptom of a serious health concern called pediatric obstructive sleep apnea (OSA). OSA occurs in one out of five children who snore. 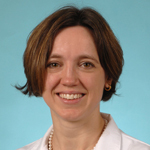 It can begin at any age, but most often starts in 2- to 6-year olds, according to Allison Ogden, MD, assistant professor of otolaryngology who specializes in ear, nose and throat problems in children. OSA is a pause or decrease in breathing due to collapse of tissue, usually in the throat, that blocks the passage of air. This leads to a brief awakening to overcome the obstruction and thus a fragmented sleep pattern. In children, the most common causes of obstruction are large tonsils and adenoids that collapse when the throat muscles relax during deep sleep. Symptoms of OSA in children include nightly loud snoring or noisy breathing during sleep, disrupted or restless sleep, daytime mouth breathing, bed-wetting, behavioral problems (inattentiveness, irritability, anxiety, mood swings, rebellious or aggressive behavior) and growth abnormalities. Unlike adults with sleep apnea, daytime sleepiness is not common in children. In severe cases, OSA can worsen or even cause serious medical conditions such as pulmonary, cardiovascular and gastrointestinal disorders. The diagnosis of pediatric OSA starts with a physical exam. A child with suspected OSA is commonly found to have large tonsils. Other symptoms include a runny nose, difficulty breathing through the nose or chronic mouth-breathing, which are suggestive of large adenoids in the back of the nose. The most conclusive diagnostic test for OSA is the polysomnogram or sleep study. This is an overnight test that monitors the child during sleep to assess for apnea (breathing pause) or hypopnea (reduced breathing), and low blood oxygen levels. However, it is controversial as to when a sleep study in children is required. Often when a child’s history and physical exam are strongly suggestive of sleep apnea, treatment is undertaken without need for further testing. The primary treatment for pediatric OSA is the surgical removal of the tonsils and adenoids. This procedure is successful in over 75 percent to 85 percent of children with OSA. If a child is not a surgical candidate or continues to have apnea after surgery, a CPAP (continuous positive airway pressure) mask can be beneficial.